So, I had this whole post in my mind ready to go when I got up this morning. Then I checked my email and saw the Knitscene Fall 2008 Preview was up (you’ll have to wait to see my adventures from last night until tomorrow)! I zoomed as fast as my Internet connection would allow to check out the pictures of my sweater. I was so curious how they were going to style it…and I love it! Or you can go check it out along with the other sweaters in this issue at the Preview Site! I really like the way they styled it too! Woot! 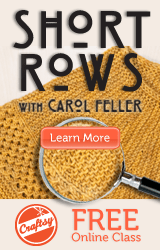 I just saw it again in a Knitting Daily email. Congrats!!! Huge congrats on the Knitscene gig. I just read your interview on Knitting Daily. How exciting! how awesome!!!! congratulations. it’ll go in my queue promptly.